Americans are expected to eat more than a billion chicken wings Sunday, and Northern Virginia’s “king of wings” is preparing for a big day. 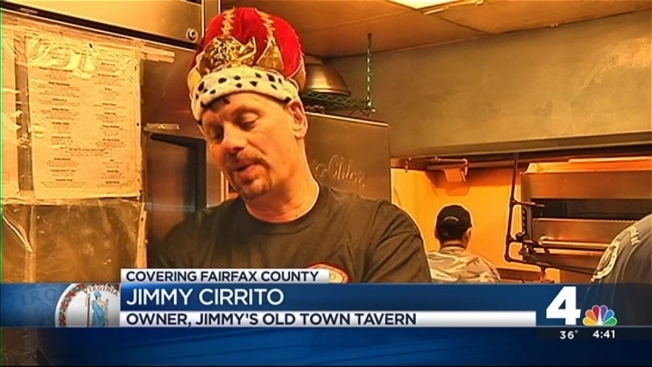 Jimmy Cirrito, owner of Jimmy’s Old Town Tavern at the corner of Elden and Spring Streets in Herndon, has been voted the top wingman by Northern Virginia Magazine four years in a row. He’ll be cooking up other specials for the big game, but he’ll also send thousands of wings out the door. The traditional hot wings sell the most. Northern Virginia's King of Wings talks about his plans for the biggest hot wing day of the year, the Super Bowl. 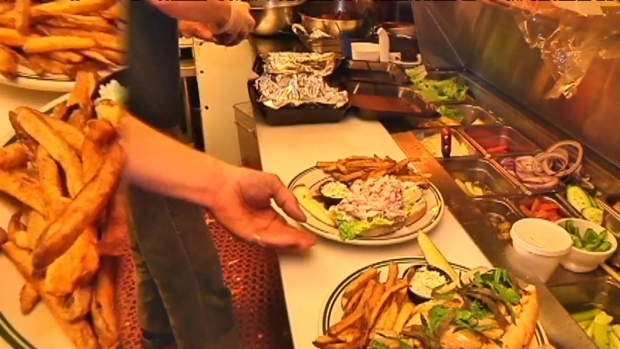 The restaurant uses Anchor Bar Sauce shipped in from Buffalo. His other specials are inspired by the Patriots and the Seahawks.